The Water Diet - How Drinking Water Can Help You Lose Weight? The Water Diet – How Drinking Water Can Help You Lose Weight? Sounds simple, right? Well it actually is. This diet plan not only helps you lose weight, but it steers you towards a healthier life style as well. Although you might have been hesitant to try it out when you first heard about this Japanese water diet, you will soon be convinced otherwise, since the fact is that you might never know how something works until you tried and fully understood it. 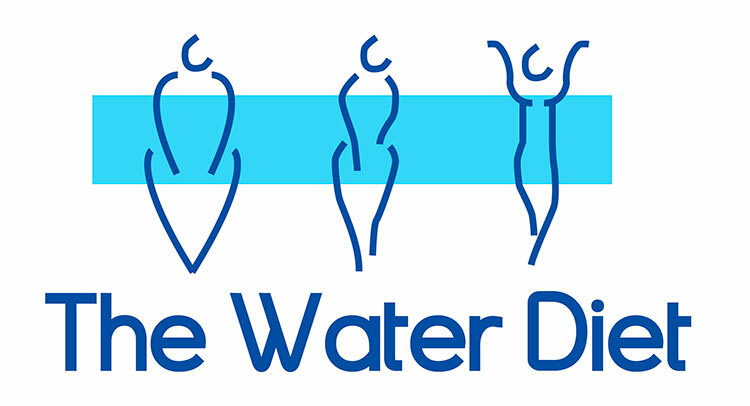 The water diet means you drink at least 2 liters of water each day. You may think it’s simple, but it has huge health benefits, and has a diuretic effect, which have a positive impact on your circulatory system, and help the body detox its self in a natural way. When you combine this diet, or any other diet with constant exercise your chances of losing weight in a natural and healthy way go up. In this article, we will bring the water diet method closer to you, by explaining just how it works, and soon you’ll realize that the solution was in the tall glass of water right in front of you. When you are on the water diet you need to follow one simple rule. Drink 2 liters of water a day. Unlike other water diets, for example the ginger tea diet to raise core body temperature, that includes drinking mainly hot water, or the cold-water diet, the water that we recommend is water kept at room temperature. In order to gain the best results possible, you need to drink no more than 4% of your body weight, follow this rule and drink the water continuously throughout the day, not all at once, and you will do great. The best time to drink your first 200 mL cup of water would be 30 minutes before eating your first meal, in the morning. After that try to drink it throughout the day, but avoid drinking excessively at one sitting. Try to split your doses of water equally each day. If you forget to drink your cup of water before the meal the first few times, don’t get yourself down, if you just started your diet this will be a common occurrence the first couple of days, since you won’t be used to the new system. You can drink your water before and after meals and don’t listen to those rumors that say you shouldn’t drink water while eating. What’s true is actually the opposite of this belief, doctors say that drinking water while and after eating can help with digestion and prevent constipation. What you need to have in mind is that you need to drink plenty of water after exercising, as you have probably realized yourself that after you exercise you are really thirsty, this happens because your body has lost a lot of fluids and needs to replenish its self. If you are an athlete you should drink 1.5 to 2.5 cups of water more than the recommended amount (4% of your body weight). Starting from the fact that you will have to start drinking more water than your usual daily dose, we recommend you avoid water rich in chlorine, which is mostly found in tap water. You could try avoiding tap water, unless you know that it is safe for drinking, in that case you won’t have a problem, and not drinking it would actually be a waste of perfectly good water. For those who do not have the luck of having a clean supply of water, we recommend using a distiller, which will make tap water safe to use. Drinking tap water will be just fine, as long as you distill it properly. Another thing you should have in mind is the filtration systems that you use. Some systems don’t remove all contaminants, and even if you have a good and tested filtration system you need to maintain it regularly so it remains functional and safe to use. When it comes to bottled water, we have to admit that its sales have gone up rapidly, but that doesn’t mean that is good for you, or the environment. It is actually very harmful to the environment, and some cities have even banned it’s use. With tap water being just fine for use, we recommend you stick to it. Water can be classified into soft and hard water. This classification is done according to the content of minerals found in 1000mL of water. Hard water has way more minerals than soft water, whereas soft water is the water we usually get after we run it through a water softener. On these diet plan, we recommend you drink water rich in minerals as much as you can. This water is known to have a different effect on your body, which can make you feel fuller, preventing you from overeating and helping you to control your appetite. Nevertheless, in Japan drinking hard water is rarely an option, so most often people drink soft water. Since most believe that soft water is easier to drink, drinking it might help you easily reach the 2L goal. The most important part of this diet is that you shouldn’t feel like drinking that amount of water is a burden. The amount of water that you will take each day should feel right for your body. The most important benefits you’ll get out of this diet are a faster metabolism and a naturally detoxed body. Does the water diet work? Not only does this diet help you with your weight loss, but it also helps with constipation as well as any overeating problems that you might have. The cells in your body need water to function. With the proper hydration that you will have, your chances of boosting your metabolism rapidly increase. Drinking water will also improve circulation and will get you on the right path to detoxing your body in a faster and more efficient way. A boosted metabolism makes it harder to gain weight and get back to your old habits. This diet is perfect for people with irregular bowel function, and will help with constipation problems faster than any other diet. It is a great solution to a better and more regular bowel movement. In fact, drinking just one cup of water first thing in the morning is belived to be the solution to any kind of constipation problem you might have had later that day. Drinking that morning cup of water helps you recover from the water loss you had during your sleep, preparing your stomach for a day of healthy digestion. When you have a glass of water before a meal it sends a signal to the brain, which causes a temporary suppression of your appetite, and prevents you from overeating. Before you start this diet first thing you need to do is set a goal, see where you are right now, and think about where you want to be. Think about how much weight you want to lose, but first find out your current weight and even make some measurements, to see what your BMI is so can start from there. Your BMI can tell you how healthy you are, by determining your height to weight ratio. If you cannot measure your BMI at home you can always pay your physician a visit. He or she can help you with that, and can even give you recommendations. This can prevent you from accidentally harming yourself. In order to have water close to you all day you need to get yourself a water bottle, which will also help you keep track of how much water you’re drinking each day. If you don’t want to buy a water bottle, you can designate a special cup you use at work, or at home, so that you’ll always know your water intake. When you’re eating out, at a restaurant for example, always ask for water, and make sure you get a sip or two before they bring out your meal. You will lose weight with the water diet, but exercise will help you burn the calories. If you have a workout routine, stick to it, and if not try to incorporate a light exercise in your typical day. Start by something easier, and gradually work your way up. Remember to only exercise if you are eating, if you are on a water fast, avoid physical activities, as they may affect you blood sugar levels, and may even cause you to faint. It sometimes helps to get a wall calendar so that you can easily keep track of your progress, your water intake, and your weight loss. Having this kind of calendar helps in so many ways, as it also makes your goals more visible, and helps you track and see your success each day. Put it on the fridge and it will helps prevent you from getting an unhealthy snack! Stay in line with the recommended dose of water intake, but do not stress about how much water you should drink today, making it seem like an unwanted task you are obliged to do each day. When you drink huge amounts of water you are telling your brain that it should prepare the body and make it lower the amount of fluids it absorbs. This in some cases can be painful, so don’t overdo it! Drink the amount recommended for you. If you push yourself to the limits it may even be a painful experience. The most important thing is to make yourself adapt to this diet easily, and go step by step. That’s why you should start out slow, and then increase your water intake gradually. When your water intake goes up, there is a possibility of your sodium levels lowering, which can lead to hyponatremia. This is actually an electrolyte imbalance, and is more commonly known as a form of water poisoning. If you want to balance things out you should try to increase your salt intake, and the easiest way to do that is through your food. When you are on this diet it’s recommended that you get between 6 and 10 grams of sodium per day. This sodium intake is especially important during the summer, or when you exercise, which is when you lose salt from sweating, and you will need to replenish your body with lots of fluids. Don’t forget the most important rule, which is not to consume the water all at once, try to divide your water intake equally, so as to avoid stomach aches, and to get the most out of this diet. Our suggestion is to set periodic time marks when you’ll usually take a glass or two, or maybe set a time table, for example a glass of water each 30 minute, and stick to it. To avoid having edemas on your legs, which can be caused by an imbalance between sodium and potassium, try increasing your potassium intake, which can be done through various snacks that are rich with potassium, and try to include a daily exercise as well. The first thing you’ll notice while on the diet is increased trips to the bathroom, which can be difficult for some people who may have a strict work schedule, but for others this water diet will be a piece of cake (note: if you immediately imagined a piece of cake in front of you, I would strongly recommend this diet for you).